Who Says It Never Snows in L.A.? When I moved to Los Angeles from Minnesota, I thought I was saying good-bye to snow for good (forever) because it never snows in L.A., right? Well, not quite. 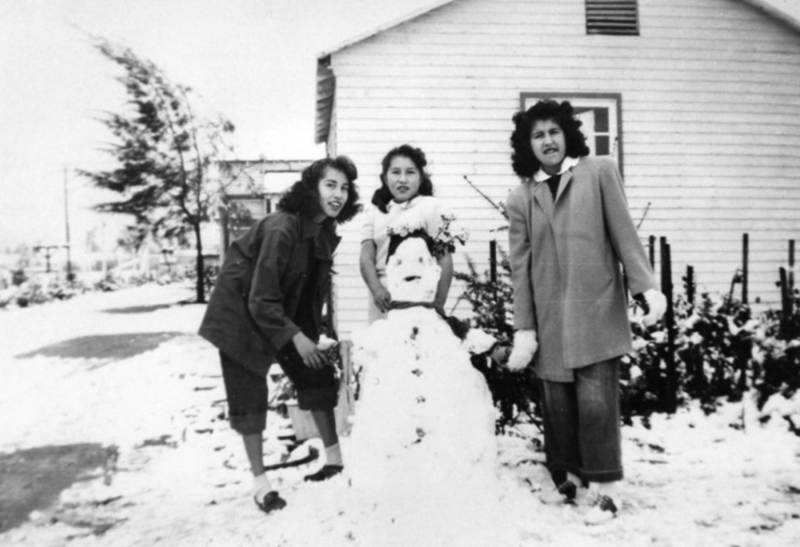 Although it’s true that it hasn’t snowed since I moved here in the early 1990s, it has snowed several times in L.A. in recorded history (since records have been kept). The city of Los Angeles is huge (very big), covering over 465 square miles (1204 square kilometers). It’s topography (hills and valleys; high and low places) varies (differs) from sea level all the way up to mountains at over 5,000 feet (1524 meters). But if we’re talking about the downtown Los Angeles area, and the places where most Angelenos (people in Los Angeles) live, then the last time it snowed here was 1962. That’s before I was born! But that snowfall was nothing compared to the biggest snowstorm in L.A. history. That happened on January 10-11, 1949. Over a two-day period, one-third (1/3) of an inch of snow fell on the city. Yes, a whole 1/3 of an inch! You may laugh if you’re in a place like Minnesota, that gets lots of snow, but for Angelenos, that was a big deal (important event). A miracle is a very surprising and extraordinary event. Palm trees were covered in snow and people didn’t know what to do about the ice on their cars! Fortunately for me, this isn’t a common occurrence (doesn’t happen often). But if it does snow again in L.A., I’ll ready for the one thing I think snow is good for: sledding!